I was chatting with Kian who commented that he couldn't see me on the watch list. I wrinkled my brow and suggested that the watch list changes that I remember being told were happening (it wasn't a discussion type of topic) had probably caused whatever the issue was. Are there more options under the right click menu now? Maybe not, as I look at it a second time. Sugar is the only character in her corporation. All of the corporate options are muddying the waters of my memory. Anyway, we were discussing alts and corporations and how horrified someone can be if you have friends or alts with other people. 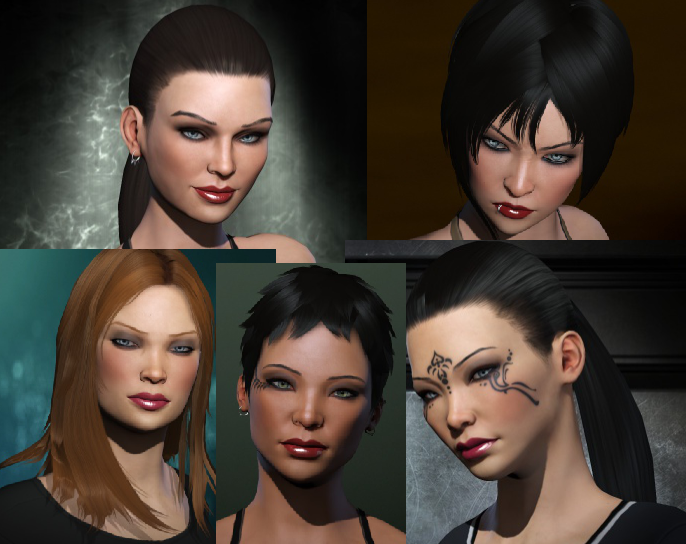 In the spy meets James Bond world of Eve Online's shadows, people go through great lenghts to define their alts. But alts are also so interesting. Back when CCP was trying to define what people did in Eve, they discovered that what people said and what they did were different. Someone might define themselves say as a pirate in solo combat in low sec. Yet, their account activity would instead label them as an builder or a miner or even.. I dunno... a market type. What does that mean? It means our alts live secret, shadow lives! My five alts above are more capable and interesting then Sugar. It is a bit embarrassing really. They are scattered all around. My prober in her Legion. My logi alt that also is a capital pilot. My team of jump capable alts. Three of the characters above are perfectly trained to jump. Everyone can make cynos. My main market alt, the ruler of The Cougar Store is also there. They are skilled. Haulers, jump ships, cloaking. They have perfect navigation skills, perfect ship skills, they can build almost anything I want. What none of them have is a killboard. That's what sets Sugar apart. It is a value I have traded upon. It is the metric that I was most often audibly measured upon. But it is not the sum total of my value. All the ladies above are. Butm I've kept them hidden. Most of it was to avoid them becoming targets. I can say that I've shared their adventures if not their name and picture. But they lead my real Eve life. I think, I've not taken them into as much consideration as I should. I was someone who for the longest time was a single account single character player for the most part. That is why Edek is truly a jack of all trades master of none. The only real alt I made was for extra research lines for researching BPOs so that I could use Edek's lines for invention when that came out. However when I moved into wormhole space and regularly ran 2 accounts I realized how important alt chars were when living in more dangerous space than Hi sec for scouting ect. Now I regularly use multiple characters on both accounts including a specialized industrial alt and while I still mostly fly on Edek and identify with him as my main I do realize the adaptablity that having multiple characters gives me in having a sub cap combat pilot a capitaal combat pilot and an industrial/hauling pilot on a second account can be very important to improving the ease in which I get things done.